Tongues are still waging in Ako Council in Donga Mantung Division of the North West Region over the surprising incident that took place on May 28, 2014 when councilors of that municipality met to deliberate and adopt the 2013 administrative, management and stores accounts. Councilors who had prepared to raise hell on some figures presented in the accounts were hooked when Municipal treasurer could not show up. It should be noted that the 2013 administrative and management accounts of the Ako council took place under the watchful eyes of the Senior Division Officer for Donga Mantung Division, Ngone Ndodemesape Bernard. The administrative and management accounts of FCFA 702,708,335 in income and expenditure were presented to the incoming councilors but absence of the municipal treasurer, Stella Maih to give a convincing explanation on some budget heads became a bone of contention in the hall. However, as gathered, the municipal treasurer had received an impromptu audit team from Bamenda and she could not be allowed to attend the session. Whether it was a cooked-up audit for salvage or a spur-of-the-moment visit to uncover the fact that it happened on a very important day left many an observer bamboozling. A school of thought holds that the presence of the municipal treasurer would have clarified many burning issue given that she is hardly available. The Secretary General, Mbengia Wilfred Ngum who was the lone council technician had no other option than to ramble over figures as presented on papers. Yet as noticed, his curiosity was ostensibly at the council chamber where the audit team was surfing over documents. However, the councilors after examining the accounts, stomached their worries in anger as could be observed on their faces even the issue on readjusting the 2014 budget was hereto buried. It is aired that the budget head for mayor’s fuel dropped from FCFA 18 million to FCFA 6 million. Those who thought the accounts would be rejected were taken aback when they adopted depending justifiable explanation in a-would-be extraordinary session. At the end of the session, matters became worst when councilors were only received their sitting allowances. One councilor even threatened to resign if they are not treated fairly. “We have been told to return after a week for transport allowances”, one of them told this reporter angrily. Some councilors threatened to stage a sit-down strike but were later convinced by Akio Augustine, the Mayor of Ako. One councilor wondered loudly whether it was fair that for the treasury to spend FCFA 8 million as operating expenses as compared to FCFA 3.750.000 paid to the 25 councilors in 2013 as sitting allowances. To them, the amount consumed by the treasury department was much even when compared to FCFA 17.810.964 million was spent as allowances for wages to staff of the council. “We are being owed 7 months”, a staff of the council hinted this reporter. It is even alleged that the mayor could not receive his sitting allowance for the session on grounds that the municipal treasurer on leaving the municipal had not instructed the cashier to do so. Those who have had the opportunity to pass through CEFAM before being appointed as technicians in any municipality would agree here that it is the mayor who is the boss and not vice-versa remains another puzzle. However, a classified source at CONAC hinted this reporter that tons of petitions are on their table for a suspected organized banditry. “We will have time to determine whether the information is faulty or not” he reiterated. The question as to who rules the Ako council abound high. The staff and the population have been wondering whether it is the mayor Akio Augustine, the Secretary General Mbengia Wilfred or the municipal treasurer Stella Maih. Seemingly, the technicians of the council have been playing the game of the mastiff in a punch to downplay on the chief executive of the council who is the overall boss. It is alleged that the municipal treasurer visits her office once in a blue-moon given that she doesn’t even reside in the municipality. Christopher Chobuke Manda, ( personal representative of the municipal treasurer) a graduate in accounting from the Pan African Institute for Development has been seen as the only rescuer in the treasury department without which the Ako Council would have been wallowing in the gutter. The story goes ever since the SDF took over the council; there have been a lot of conflicts of interest. Allegedly, it started with the internal political wrangling whereby some few political kingpins wanted to impose selves over the mayor and when order was inserted SDF hierachy, the deputy mayors also surfaced with their own dictates. The issue as we gathered was recently laid to rest by the SDO for Donga Mantung Division, Ngone Ndodemesape Bernard who told them that Ako council has only one mayor, and it is no other person but Akio Augustine. However, public opinion in Ako holds that the technicians are outwardly the thorn in the flesh of Akio Augustine. 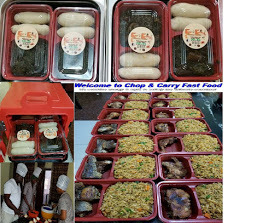 It is even alleged that during the last session, a sum of FCFA 500.000 was disbursed for food and entertainment yet the quality and quantity that was served raised a lot of doubts. The transfer of workers and recruitment of temporary workers purportedly met stiff resistance from both technicians. Instead of the mayor giving instructions, the reverse has been noticed, a staff who was busy compiling documents to deposit after being recruited as a temporary worker hinted this reporter. He said that they are afraid that if the mayor doesn’t hit the table to instill order, development is likely to suffer. Talking to this reporter at the end of the session, Mayor Akio Augustine said that the 2013 administrative and management accounts of the Ako council had a lot of loopholes but lamented that the former mayor, Emimi Emmanuel who would have perhaps given them ample information on some disturbing figures is of late. Notwithstanding, he said he would stop at nothing to make sure that he leaves a mark as development champion. He also announced that the keys of the newly constructed Ako Border Market were handed to the council and it is pending an official inauguration by the Senior Divisional Officer. He also revealed that the council is leaving no stone unturned in it’s strive to promote agricultural activities. According to Akio Augustine, the Ako intends to establish a palm tree nursery in order to modernize the palm oil sector which is considered as “black gold” in the municipality. He added that even though he inherited debts estimated at above FCFA 55 million, prospects are high that little by little, the bills would be paid. The National chairman of the Social Democratic Front-SDF has declared that 90% of the money which was disbursed by France to Cameroon to pay as ransom to Boko Haram in exchange of the abducted French nationals were tracked and located within the Cameroon territory. According to SDF national Chairman, Ni John Fru Ndi French satellite in trying to locate Boko Haram through lazar-banknotes detected that part of the money was inside the Presidency of the republic in the hands of some corrupt officials. Speaking in Nkambe and Ndu at the 24th Anniversary of the SDF, Fru Ndi lamented that “we have a government that doesn’t bother about us”. He told the over 30.000 man-crowds in Ndu and Nkambe that it is for this reason that National Executive Council of the SDF last December 2013 issued a resolution “calling on President Biya to resign because he has failed”. Harping on how corrupt members of the Biya regime are, Fru Ndi revealed that those who were assigned to negotiate with Boko Haram disbursed only 10% of the amount and retained 90% for themselves. With all these, SDF National Chairman said he would have preferred dialogue and not war with Boko Haram because “you cannot fight war with people you don’t see”. Harping on why he believes in preventive measures, Fru Ndi called on the population to be very vigilant. “Dear people, you have to be very vigilant because nowadays we don’t know who is a bad man among us. Collaboration with forces of law and order, administration, fons, sub chiefs etc. Remember I came here to sound a warning on malaria, I came back to sound a caution on HIV/AIDS, and today I am here again to echo a new warning on this wind that is blowing. I have come to warn because Nkambe and Ndu should not be any of the places where they would want to start to destroy Cameroon”. To Ni John Fru Ndi, this is the time to support a plantain sucker with two sticks in order to prevent it from being blown off by the wind. Fru Ndi said that he wasn’t a lover of peace, he would have accepted to go to war in 1992 given that 80% of the military supported his candidature. Yet he opted for peace. “I hear some CPDM militants carried placards on May 20, asking for Hon. Awudu to go to Ndu? That is worst than Boko Haram”. Accordingly, Fru Ndi denounced such provocative acts that could lead to confrontation. He added that the CPDM is contributing to a kind “njangi” that when the day shall come for them to chop, they will not be able. 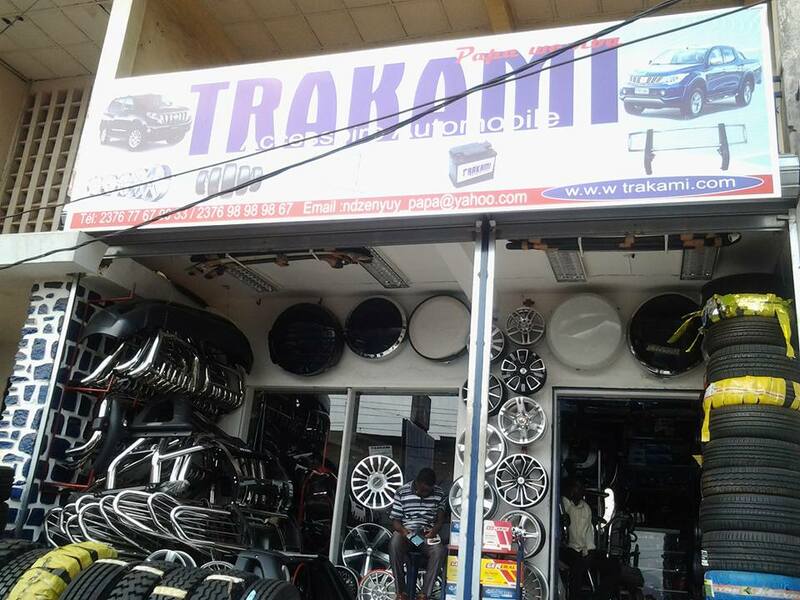 He also announced the act by taxation officials to close down the business of a young man because he was SDF militants. Ni John Fru Ndi, was categorical that Samba Napoleon alias La Samba was a prisoner of conscience. To him, “You can cripple a man, but you cannot cut his hands”. On the 24 years of the SDF, Fru Ndi said the party has reached the age of maturity given that a woman at 24 is supposed to give birth. He called on SDF militants and sympathizers to continue to support the vision. On his part, the Member of Parliament for Donga Mantung Centre, Hon. Awudu Mbaya told the population of Ndu and Nkambe that those who joined politics without understanding the rules of the game have been hooked. He said in his capacity as MP for Donga Mantung Centre, he discusses issues and not people. He called on the population especially the “achaba” riders, to collaborate with the administration, law enforcement officials, fons and chiefs as well as political leaders so as to step up security in the Division. He cautioned SDF militants not to copy wrong things. It should be recalled that over 15.000 people attended the 24th anniversary in Nkambe. An estimated 100 dance groups also showed up at the Nkambe to sing and dance with the SDF. Fru Ndi, SDF national chairman confirmed it by saying that he has seen that Nkambe and Ndu still remain the stronghold of the SDF in Donga Mantung Division. Upon arrival in Nkambe, SDF national chairman and entourage were received at the end of Tar by an enthusiastic crowd estimated at over 15.000. There was singing and dancing, trumpet blast too. The noise of the over 200 achaba riders could be heard from far off distance as almost everyone in Nkambe town never wanted to miss a glimpse of the event. Placards announcing the presence of over 100 dance groups added more colour to the event. It was the group of Takumbeng (old women) that saluted SDF chieftain at the Nkambe grandstand. It was no other person than Rev. Titatang Kingsley, who called on God Almighty to consolidate the democratic process in Cameroon. He said May 24, is a day that Cameroonians, SDF militants and sympathizers will live to remember the six martyrs of democracy. Fru Ndi on taking to the rostrum congratulated the population of Nkambe adding that the SDF is waxing strong in Nkambe. He said it was a mark of commitment by the population of Nkambe to the ideals of the SDF. Hon. Awudu Mbaya denounced with mixing his words the during the September 30, 2013 elections, 5000 voters’ cards were printed and distributed in Nkambe. But since elections are what they are, nobody would change the outcome given that those who won in the council and for Parliament would have to be there for the next five years. Former mayor of Nkambe, Mangoh Jones Tanko on his part presented a balance sheet of his stewardship including some projects that he lobbied which were not yet executed like the tarring of streets in Nkambe. Mbeh Shey Wilfred, SDF District chairman also talked about the life of the party and the SDF 24 years after in Nkambe. In Ndu, the euphoria was total. Ni John Fru ndi held the population spell-bound as he preached the gospel of peace. He reminded the population of the Ndu incident whereby soldiers removed a Koran from the mosque and set it on fire yet, reechoes that he is looking back into history for a better tomorrow. He called on the mayor of Ndu to do what his late father Bunyui Jonathan left undone. “Your father was a pacesetter and the population is looking at you to produce the same result”, he reminded the mayor. The District Chairman, Eric Ngabah said the SDF was unshakable in Ndu. He also presented a vivid picture of the party for the past 24 years. Hon. Awudu passed warm greetings from Hon. Esther Ngala Ntala. He announced to the population that Hon. Esther Ngala is working hard in the United State to twin the Ndu council with another in the USA. There were deafening applause when he broke the information. On the other hand, the Mayor of Ndu, Bunyui Emmanuel numerated some of his realizations. He cited the electrification of streets in Ndu using solar lamps, the construction of market sheds, the mini agro pastoral show, the opening of some streets, etc. To majority of the population, Ndu will never regret the choice of their new mayor and council executive especially with the presence of young dynamic people like Fon Martin Yembe. Cyprian has said that it is now time those who have been talking about development as if it is an item that is hanged somewhere to present what they have contributed for the Development of Donga Mantung Division in the North West Region of Cameroon. In an exclusive interview with this reporter in Nkambe, Hon. 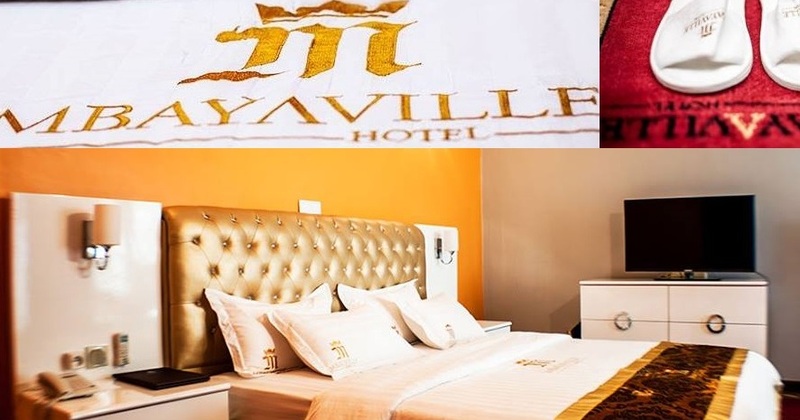 Awudu Mbaya insisted that the (Wi)mbum political elite(s) should present just a single development project they lobbied and obtained for the people of Donga Mantung during their 21 years in government if not only of the houses they constructed in Nkambe and Mbiyeh respectively. He also challenged other top civil servants of Mbum land to also show their contributions as well. Hon. Awudu Mbaya in reaction to the widespread propaganda that Donga Mantung Centre Constituency should be separated outlined that it is pathetic that the same people who are preaching national unity are the same people trying to divide their own base simply because someone wants to be appointed Prime Minister at all cost. He prescribed that Donga Mantung politician especially the “nwembum” politician should emulate from the Santa people where during politics they express their bitterness in public but when politics is over they all enter into one vehicle for cry dies, etc. You were at the Nkambe Grandstand on May 20th to take part in activities marking the 42nd National Day celebration, could you say National Integration and Unity was portrayed? Hon. Awudu Mbaya Cyprian: Thank you for giving me this opportunity. In fact, I observed that the vast majority of the people of Nkambe Central are peace loving people; and it has always been our pleasure to commemorate this memorable date that is quite significant to us as a nation. It is a way to pay homage to the people who fought for the reunification of Cameroon even though during the plebiscite the then Nkambe Division voted to go to Nigeria. But majority of Northwesterners and Southwesterners voted for reunification. After reunification, Donga Mantung has fully integrated itself into this system of unity in diversity. So the vast majority of the Division, I would say without mixing words that they march action with words. When we are talking of Donga Mantung, we are only talking of the indigenes; we are also talking of those who have come from all over Cameroon to live here. The Constitution gives a clear-cut on National Integration and it states that every Cameroonian should feel free wherever he/she lives and only respects the laws of the land. I think the people living here have and will as usual participate fully in national integration and that’s why they showed up massively to participated in May 20th celebrations. What reading do you make of the placards that were displayed by some CPDM militants during march-pass at the Nkambe Grandstand? Hon. Awudu Mbaya Cyprian: It is their rights to express their feelings; I mean the few disgruntle people. I know you are driving to somebody who brought up a placard requesting that the MP is not needed here in Nkambe; and that the MP should go to Ndu. That to me is a non-event because it does not change the situation. My mother and father were born in Nkambe Central and I am a native of this area. Besides, I am the MP for Donga Mantung Centre which comprises of Ndu and Nkambe and if I were staying in Ndu I will still be representing the people of Ndu and Nkambe. The only thing is that they are being pushed by politicians that I think ought to have understood the rules of the game before venturing into politics. I am very sure that they entered into politics blindly; they didn’t know this demarcation of constituencies. The constituencies are not created by me; they are created by the administration. The Constitution gives the Head of state the prerogative to define administrative units (constituencies) for MPs. That is how the head of state used his prerogative to segment Misaje/Ako as a Special Constituency and Nwa too as another Special Constituency. He left Donga Mantung Centre which comprises of Ndu and Nkambe to remain as the main constituency. More so, in creating the Donga Mantung Centre, President Biya took into consideration the cultural values and traditional setup of the Mbum people. The fact that Donga Mantung Centre comprises of the (Wi)mbum tribe, the head of state I think also took into cognizance the unity of the (Wi)mbum people; and we are talking of Unity here. And if somebody or a group is advocating for the separation of the Donga Mantung Centre Constituency for Nkambe to become a Special Constituency and Ndu becoming another, and the entire Division will made up of Special Constituencies, it is left to the person that has powers to do it and he can only do so in future if he deems it very necessary. But to do it after the game so that somebody will fulfill his personal interest now; I do not want to think that it is possible and that is why I, Hon. Awudu Mbaya and my followers (here I am talking about people who reason; people who attaches themselves to the unity of the Mbum people) will continue to advocate for the unity of Mbum people. But if tomorrow, Ndu and Nkambe are also separated as Special Constituencies then we will surely beat the record of Special Constituencies in Cameroon. You mean the idea is being propagated for selfish interest and not for development purposes? Hon. 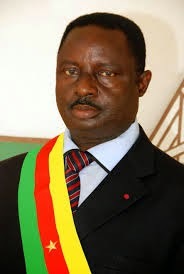 Awudu Mbaya Cyprian: Well, what I know is that some people who are well-placed; indisputably members of the central committee of the CPDM, members of SDF-NEC or political leaders, feel that the Mbum people should be separated into Special Constituencies for them to achieve their selfish aims so that somebody must to go to Parliament or so that somebody must be appointed Prime Minister to the detriment of the unity of the (Wi)mbum people. It is pathetic that we are preaching one thing and doing the other. You cannot be an advocate of national unity at the same time advocating for separation at your own base. There are these two schools of thought and I am leading the crusade for the unity of Mbum people because I think of those that are out of this Division; I think of our people that are united in the Diasporas under the umbrella of Wimbum Cultural and Development Association-WICUDA. I also think of our people that are in and out of this Division and they are grouped under the same development umbrella association. I imagine of the integration, interwoven relationship that exists within us for years. For example you can not make a demarcation of the Warr people, segment or separate them from the others. You cannot segment the Wiya people. You cannot fragment the Witang people. They are one people even though they have their clans. In Nkambe Central, you have the Tang, Warr and Wiya people. In Ndu sub Division you have the same Tang, Warr and Wiya people. So, these are one people and they speak one language. They have one common culture and you want them to be separated? To me, politics is to unite people and not to divide them for selfish tendencies. Implicitly, if we were in Ako, we should be advocating for the separation of Ako from Misaje. Is Donga Mantung Centre the only constituency with two Parliamentarians, I would say no. Mfoundi Division is a single Constituency with seven Parliamentarians; Boyo Division is a single Constituency with two Parliamentarians etc, etc. So, why is it that the Nkambe situation very peculiar? The answer is very clear, because somebody must go to Parliament in replacement of Hon. Awudu and someone wants to be appointed Prime Minister by all cost. Who told you that you must win elections by all cost to be appointed Prime Minister? The two former Prime Minister that were appointed from Fako Division in the South West Region didn’t win any elections before they were appointed. I think those who are advocating for the separation of the (Wi)mbum people must take into consideration all the parameters, such as the Wimbum Cultural and Development Associations (at home and the Diasporas). Take for example WICUDA that we have invested much in it, they want to separate it for political gains. God forbid. It is not of my habit to discuss insults. In fact I inherited one thing from Late Hon. Tamfu, that is; a politician only does what is good for his people. I attach a lot of importance to the interest of the people of Donga Mantung Division. That is why since 1997 that I went to Parliament, all my efforts and plans were geared towards transforming lives in Donga Mantung Division. I never slept at night without thinking of my people. I did everything humanly possible to execute a good number of development projects we have here. Today I hear people saying that if you want development, you must join the ruling party or government party. But I know people who have been ministers here from time immemorial including the two recent ones. I am talking here of the two Ministers of Mbum land. Let them show me one particular thing that they have done in Donga Mantung Division. I mean concrete things that they can show to the people. Yet they were in Government and I believe that was the time they would have carried out or brought in development projects for the people of Donga Mantung Division. Is it now that they are not in government that they will do what they could do for the people of Donga Mantung or it is now that government knows that Donga Mantung exists? Concretely, what are some of the development project you have carried out since you became MP? Hon. Awudu Mbaya Cyprian: To me, development is an ongoing process that will go on until we die and others takeover. It is an ongoing process that is accompanied by concrete actions and realizations which generate positive impacts on the lives of everyone. Among all those who smelt the corridors of power in this Division for close to 21 years, who is that person who can challenge me as far as instilling development is concerned? I am talking of tangible realizations that people can see or feel them in our communities. People can only be wicked or dishonest by refusing to recognize the number of projects I have lobbied and or executed in this Division since 1997. Let me just select some few instances to justify my statement. When was voted Member of Parliament, CRTV signals were not received in Donga Mantung Division. I crusaded, wrote series of correspondences, contacted the officials’ in-charge and did everything for us to have signals. I did all these because our culture was going towards Nigeria, I mean risk being absorbed. By then we had someone in government yet he was not prepared to fight for the people to have access to information. Today, we have about six radio stations in Donga Mantung. To be candid, I started it and many others followed. People only emulate what is good. I established Savannah Radio in Nkambe, in Ndu and recently I also bought Dang Batouri Radio and transformed it to Dang Awudu. Somebody also created Dang Batouri in Ndu emulating from what I have done. Even what is DMCR today, I was at the forefront of its initiation. I went right to the manufacturer, transported the equipment from Douala to Nkambe and I also brought technicians from the UK and USA to install the equipment. I did not end at that, in addition to that, I also established the lone Television Channel in a rural setup in the North West Region and precisely in Nkambe. It is Millennium Television that is keeping the population of Nkambe as CRTV signals have gone off our TV screens again. As a matter of fact, I did not create any of these media outfits to insult people. 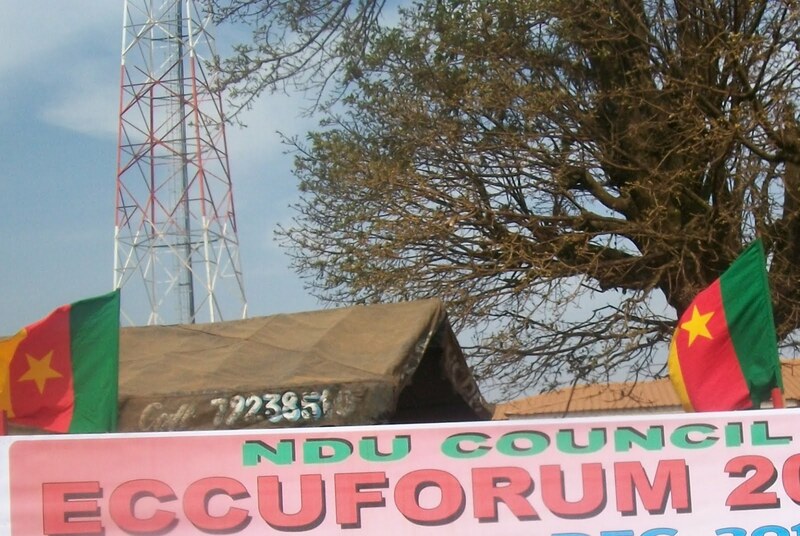 So, in my tenure of office, I can be proud that there are five radio stations in Ndu and Nkambe. Out of these five radio station, I personally have been running the three radio stations and one tv channel from my pocket with no subvention from anywhere. The people do not pay to listen to the radio or watch TV; I pay for them to enjoy these facilities. I give incentives to those who are sacrificing everyday to inform the public. I pay electricity, pay rents, pay water bills etc, in fact what else can I do for the people of Donga Mantung Division. Let one of these persons who are talking of development every hour of the day show me just one of the things they did when they were members of government. I mean just one thing. I have been contributing significantly and I will continue to do it for the population of Donga Mantung. It is unfortunate that our former members of government can only show their houses in Nkambe and Mbiyeh respectively. If you build a toilet worth hundred of FCFA billions, how does it contribute to the development of the area when it doesn’t have any impact on the lives of your surrounding neigbours. Will people leave their houses to ease themselves there? If that is the kind of development we are advocating for then we are on the wrong side of history. Could you just give us a gist of other development projects that you have carried out since 1997? Hon. Awudu Mbaya Cyprian: The list is very long. For your information, before 1997, Mbot village had no electricity. Even though Kungi supplied Nkambe with the power plant, they were segmented and they did not have electricity. Wat, Tabenken, Njap, Chup, Mbaah, Konchep, sop, Taku, (Luh, although still to be installed), Ngarum, Chup, Ntumbau did not have electricity. But today, there is electricity in all these villages. I just received a letter today from the Minister of Water and Energy who has just written to me acknowledging the receipt of my letter in which I applied for the use of solar energy in this division and in his reply Minister wrote that he has given firm instructions that not only has the proposal been approved; it will be implemented subsequently and inserted into the budget by next year. This letter came to me through the Post Office. It is an indication that I am not sleeping yet people who represented us in government cannot even show what they lobbied from their colleague ministers in terms of development projects are now talking of development as if it is today that they know the people of Donga Mantung need development. I want somebody just to show me anything concrete that this is what I did went I was minister. Is it only today that they know that there is something known as development. Where were all of them when we were not receiving CRTV signals or when we had no radio station here? Or they would say that government did not know? We cannot leave everything in the hands of government; that is why we have to make our own little contribution in nation building. I don’t want to be angry. I have just said that people have the right to say what they think but I can only do what is good for my people. Can you commit to memory where you carried out your first micro project? Hon. Awudu Mbaya Cyprian: When I took over from Hon. Tamfu, the community hall where we now celebrate all our events was completely abandoned. My first micro project was used in the renovation of that hall. I did renovation works inside and outside that hall to give it the look it has today. Besides, I think I am among the few Parliamentarians who have used micro project money to carryout giant projects like the construction of bridges. For example, I constructed the bridge leading to the quarter where the Colonel of the military is living in Nkambe. I used micro project money to construct so many other bridges. There are three bridges in Tabenken which I constructed. (I contributed in the construction of the bridge leading the catholic mission Health Centre in Tabenken) I want all those who represented us in government to challenge this. Let them show us any bridge they ever constructed while in government. I would ask whether those in authority at the time did not know that the people needed those bridges. I also constructed the unity bridge linking Wat and Mbaah villages at Mbuwarr. Besides, I supported the construction of the bridge at Mbabi-Wat which was initiated by the Douala branch of Wat Cultural and Development Association-WADECA which I personally inaugurated. In the domain of education, I lobbied for the creation of Primary and Secondary schools beginning with Mbuwarr, Mbot, Binka, Njap, Chup etc. By 1997 when I was entering Parliament there were just a handful of educational institutions here but today almost every village has a primary school, all zones have colleges. In fact when I am talking of lobbying, it is not bribing. I am talking of booking audiences, meeting ministers and Directors to present or put the need of the people on the table as well as give a picture of what is needed and how it will be useful so that somebody sees it importance. How many people did that? There are private schools, mission schools and Islamic schools that I have also supported in either the construction or roofing. Take for example the wind disaster at PSS, I supported because the children studying there are all Cameroonians. There many of such interventions I do them on daily. Since I became MP, we have participated or roofed so many churches in Donga Mantung. There is no palace in Nkambe Central and to the larger extend Ndu sub Division that someone can say that they have not benefitted from my Parliamentary largess or a glass-cup from Hon. Awudu. Let alone the renovation or construction of these palaces. Today, you have the military having a band in Nkambe, most of those civilians in that band were trained by me in Douala. I bought a band and handed to the Nkambe council. Before 1997, Nkambe had no grandstand, but it is the former mayor of Nkambe, Mangoh Jones Tanko that constructed the befitting grandstand which was named after HRH the Fon of Nkambe. It is second only to the Bamenda Grandstand constructed by government during the 50th anniversary of the Armed Forces. There is no council structure like the Nkambe Council Chamber constructed by Mayor Mangoh. The municipal stadium you have here is only second to the Mankon Municipal stadium which I have not yet received all the payment. Many health centres were constructed through my support; I have even donated equipment to many of these health centres and or I did the feasibility studies for the creation of the centres. I want those who have been talking about development as if it is a thing that is hanged somewhere to raise a finger and show us what they did when they were in government. Do you feel disturbed when some people say you have done nothing? Hon. Awudu Mbaya Cyprian: Nothing will stop me from doing what I have been doing. Even those that are insulting me, I will continue to lobby for projects for their own villages and if I have the possibility of carrying out more projects I will not hesitate. Insults will not change Awudu that was yesterday; is today and will be tomorrow. I said before that I do not want to discuss people, I only discuss issues. I think I have given you a general picture of some development projects in a basket full of what I have done. I know somebody will come tomorrow to say that he brought SASH Halls to Nkambe. Is that all a minister can bring to his people? Those were grants from the German government or NGO, whosoever. My problem is that we should not only be talking development but should be seen putting it into practice for the benefit of the people. People are talking of development today as if it is a thing that will be done now if Cameroon becomes one party system, (CPDM as it was the case before I took over). They talk as if development will just fall from somewhere and everything will just be up. It has not happened like that in Yaounde, Douala and other big cities and it can not start with Nkambe. People should also remember that I took over from a CPDM bigwig who was the lone CPDM member of the political bureau from the North West. He was also Parliamentarian for several years and they were other Parliamentarians in Donga Mantung (they were four of them). I want anyone to challenge me and show me one concrete thing. Be it a bridge or shed that was constructed anywhere in the Division. I have constructed market sheds. I did that in Wat, Binka, Tabenken, Njap, Bisnhua, Ngie etc. Let them show me if one of them did anything. Were they not in the CPDM? Make your findings and tell the public. Were all of us not in the CPDM before when we were in a one party system? Some of these today politicians who are claiming to be in the CPDM don’t even know how this party was created. In fact, I was present and I participated actively at the Congress that led to the creation of the CPDM. Why could development not come at that time and why only now or why is that today people are singing that we must all join the party in power for development to come. May be they do not know that it is the responsibility of government to develop every other place in the country. If we have done all what I have just mentioned, it is because the SDF laid down transparency as the corner stone of democracy. That is why we go as far as using our own money for our people; adding to what is given us as micro project money. It is a mishap that even people who cannot afford a salary of FCFA 200.000 per month are saying that they want people to join the ruling party so that development will follow. Can someone clearly tell me which type of development are they always talking about? In fact these are some of the things that people should know. Let me be clear that before we took over as MPs for Donga Mantung Centre, nothing concrete was done. Is it only today that development will come? Ever since I was voted MP, government had never appointed any SDF militant as minister; all those ministers were CPDM militants. People should know that Paul Biya appoints ministers from different areas to also work for their people and not for him. Why is it that our two former ministers did not work for us? Can any of them tell us why? We have seen other ministers working for their people, so why is it that when they were in government they could not bring the much talk-about development? Can they tell us why they could not bring the development at that time that they were well-placed? Is it now that they are no more members of government that they will bring development? Let them stop deceiving the population. They are not even shameful that for 21 years they represented the interest of this Division in Government yet did nothing for Ako, Nwa, Misaje, and not to talk of Ndu and Nkambe. Since they say charity begins at home, what they did was to construct houses in Nkambe and Mbiyeh. Is that the type of development that we are talking about? Or we must all enroll into the CPDM before the charity will be extended to next doors?. In fact government is supposed to develop every area. That is the objective of the government. The Parliamentarian is not going to replace the government. We only compliment government actions. We have one project which is a general cry, the creation of the Far North West Region or say Savannah Region whereby Donga Mantung is expected to be raised to a region. Can any of them tell the people of Donga Mantung Division why government has not done that? That is what we called development. Yet everyday, our Wimbum CPDM advocates continue to talk on abstracts. We have been crusading for it and I hope that tomorrow when it finally comes, somebody will not climb on tree tops to announce that he has done this or that for it to happen. We have been crusading and I think it is an idea that we inherited from Late Hon. Tamfu which should one day come to reality. And let me make it clear here that in the course of lobbying, we presented a map of all the administrative units that could be created as well. To me, if a Division is created in Nwa, Ndu, Nkambe, Misaje, Ako etc it is an instrument of development. Government is all of us. Let nobody fool you that because you are in the opposition, you are not part of government. No! So, therefore, the ruling party has completely refused to create this administrative unit. When I heard someone talking of creating special constituencies in Ndu and Nkambe, I would say the best way is for the so-called member of the central committee of the CPDM to tell Biya to create the Far North West Region. He will listen to you and do it promptly. By that time, Ndu and Nkambe will also benefit by having separate Divisions. We will no more be talking of Constituencies again. I think if you think that you are a development champion, support us by taking these documents which are laying in the Ministry of Territorial Administration and Decentralization and ask Paul Biya to sign the decree today. If that is done, we will now be able to diversify our development project and not keep on talking of voting or frustrating people to run away from the council so that we will bring development. Did I not construct the Green House at Binka? I think it is time for all these top civil servants to show us where they have done for the Wimbum people. The most interesting thing is that even those who do have houses in native villages will insult Awudu and say that Awudu has not done anything in Donga Mantung. Let them come and show us one little thing. There are so many of them who like empty vessels make the loudest of noise. Hon. Awudu Mbaya Cyprian: As I said during my civic reception, after elections, I think it is time for us to bury all our hatchets in order to concentrate on development efforts in our area and all other sub divisions. Time for bitter politics was during elections and after elections; nothing will change. Those who have won in the CPDM and the SDF will remain in power after five years. So, don’t bother yourself; but you can do your homework. I invite politicians to reverse their trench of thinking that something can be changed. If they are true leaders what they have to do is to fetch for development projects for their people. That is the only thing that can help us and the common man not this politics of bitterness to tear the people apart. And of course I am not one of those who should contribute in tearing the people apart. I love all my people of Donga Mantung including those who hate me. I still love them because they are my people. I wanted to talk about the present dispensation in our country. We are faced with a very serious problem. The problem of Boko Haram and I think it is a kind of thing to focus on and education our people to help in supporting the forces of law and order; to help the administration; put a strong barrier to this kind of phenomenon so that it should not reach Cameroon through our Division, Donga Mantung. I think that is what we should be talking about given that in the neighboring country, you cannot go to church freely, you cannot go to the mosque freely, school, markets, and or attend a public ceremony freely because of the uncertainty or because somebody can just bring a bomb and plant to kill innocent people. Political problems should be solved by politicians, so we are called upon to serve by collaborating with the intelligence of the republic, the administration, the fons, chiefs, ardos, etc and of course all those who are in authority. Traders as well should join hands because if this situation gets here they will not be able to do their trade freely. Instead of talking about how Awudu should go to Ndu; Awudu is a small boy etc, which will not help us for now. We need to contribute to true peace in our nation because we are in a situation where we have declared war without knowing who the enemy is. Let our country be in peace so that we can be able to make the field level for politics of development, social activities etc. I want to thank the clergy people and people of Donga Mantung who are of goodwill, people who have supported us up to this material moment. I also want to thank all those who have made contributions for the development of the area and the social cohesion. I think it is time for us to emulate what is taking place in other places. In Santa for example, you will see bitterness during politics and after that the people remain brothers and sisters, they even enter one vehicle for cry-dies and others. Whether you like it or not, today is Awudu; tomorrow it will be another person. Let us give respect to the people in authority. I am talking about the administration, our chiefs etc etc. Of late, newspapers speculated that the state treasury has run out of liquidity. This was due to the fact that some indicators were rife that the state has been unable and or reluctant to carryout some of its responsibilities, such as payment of bills to contractors/beneficiaries. Senators and MPs almost staged a show-down for the non-payment of car loans and micro-project grants. Allegations were also rife at that construction work at the Kribi Deep Seaport and other giant projects nationwide had stopped due to government’s inability to make owns contribution etc. Yet last April 9, 2014, the Director General of Treasury, Financial and Monetary Cooperation in the Ministry of Finance, Moh Sylvester debunked allegations that the state treasury was in liquidity crisis. In a briefing, he told journalists that the Ministry of Finance has recovered FCFA 673 billion which according to Moh Sylvester corresponds to more 95% realization. In evaluating the first quarter of the 2014 budgetary year, Moh Sylvester said that the indicators are satisfactory given that there had been an excess of FCFA 79 billion from the FCFA 594 billion in cash for recovered income. In a desperate attempt to clear the air on allegations that the state treasury is in financial hub, Moh Sylvester said that “we borrow from the national market at below 2% per year. I believe that there are very limited institutions that can borrow at such a rate per year”. He however went further to state that the recovery rate is usually at 300%, reasons why he went further to explain that whenever they ask for FCFA 10 billion, and “banking institutions are ready to give FCFA 30 billion”. Even so, he added “but we retain only the 10 billion which corresponds to what we want because it is not about being indebted excessively. Moreover, to continuously demonstrate our credulity, it should be known that w can make draws on advances at the level of the Bank of Central African States-Beac. We are often called upon to draw from the unforeseen margin of FCFA 335 billion. If the state was in difficulty, it would rather have chosen to go to Beac at an interest of 3%” he emphasized. However, since nothing is more respected in the world of finance than keeping seal lips on figures, the Director General of Treasury went further to unveil state expenditure for the first quarter of the budgetary year which rounded off on March 31, 2014. Harping on the total expenditure, including FCFA 632 billion for the payment of salaries, payment of bills for beneficiaries and other state expenses, Moh Sylvester disclosed that there is absolutely nothing to worry about given that FCFA 560 billion was projected. Yet allegations abound that Cameroon is currently witnessing acute shortage of banknotes. A school of thought holds that the Bank of Central African States-BEAC has a hand in the liquidity crisis in the Country. However, public opinion is looking towards the state vuvuzela, Isa Tchiroma Bakary to clear public opinion on the current financial situation in Cameroon given that both the Minister of Finance Ousman Mey and Moh Sylvester are seeming afraid of speaking the truth. It is even alleged that the prices of fuel will soon move to 700 FCFA per litre. This has ignited another public debate on whether it is not FMI pressurizing government or it had rejected state subvention or plans to do so. Tempers flared again in Nkambe, the Divisional Headquarters of Donga Mantung in the North West Region of Cameroon on, May 20, 2014 during celebration marking the 42nd National Day celebration. The long accumulated political quarrel between the Cameroon People Democratic Movement-CPDM and the Social Democratic Front-SDF resurfaced again as it found new cracks to explode in diverse forms. The story goes that on the official program for march-pass, the SDF party was given the pride of place to kick-start the last segment march-pass which was reserved for political parties. SDF official according to what we gathered scent the rat and refused, arguing that the ruling CPDM has always being the first to lead the march-pass since the early 90s and they think it is a ploy. For more than 15 minutes, administration was helpless as the two political giants were enraged in a war of words as none of the political parties wanted to take the lead. It was the National Salvation Front-FNS of Isa Tchiroma Bakary which was making its first public appearance in Nkambe that took the advantage to take the lead the march-pass. But the problem could not be solved as both the CPDM and SDF refused to march. The brouhaha took again over 37 minutes. Yet, there was resistance in both camps. After close to 38 minutes, the CPDM decided to show its strength in second position. Matters worsen when one CPDM militant dolled out a hidden provocative placard on which it was written “MP Go to Ndu, we don’t Want You in Nkambe”. A security officer rushed into the crowd and seized the said placard without arrest. On the contrary, his identity card was seized. After the 33 minutes of display by the CPDM attempts by soldiers to block militants of the SDF from portraying their strength as well met very stiff resistance. Hon. Awudu joined irate SDF militants arguing that they should all be rushed given that he has decided to take the lead in the march-pass. After 35 minutes of show of strength and political prowess of the SDF, brouhaha erupted when soldiers acting on instructions decided to block okada riders (militants of the SDF). The okada riders held an impromptu meeting by the road side and resolved instantly that none of them will never ever carry a staff of the delegation of Youth Affairs was well as soldiers, police and gendarmes till further notice. “We will meet the administration tomorrow to know whether it is not our legitimate right to belong to a political party or not. And we will also like to know whether we are not Cameroonians”, one of them argued. “Why was it that they allowed taxi drivers to march with their cars in CPDM and rejected us the achaba riders to march for the SDF, Shey Ngafeeson, achaba President vomited with anger? Tongues are still waging in Nkambe over the incident that took place at the Nkambe Grandstand. Public opinion is pointing accusing fingers at the administration and security officials for not playing their role well. “It is the ruling party that always leads the march-pass for political parties and why the sudden change”, Nginyu John, wondered. To Mbeh Wilfred Shey, it was a well calculated plan for the same people to march severally to create the impression that the CPDM is powerful. To some CPDM militants, the SDF wanted to create confusion to disturb them from showing their political strength. However, a classified source at the Presidency of the republic hinted this reporter late yesterday night that heads will roll in Nkambe. According to the hint, the Presidency has put to question the ability of some personalities and have ordered for an immediate inquiry into uncover who initiated CPDM militants to expose security lapses at this point when the unity and integrity of the nation needed not to be tampered with? “This is a serious matter”, our Presidential insider concluded as he banged the phone. The source further revealed that two placards were seized by the police. The placards according to his interpretation have sparked undesirable situations at this point in time that even a fly is not suppose to pass unseen. Yet Gerard Ngala, CPDM Section President for Donga Mantung I told the press that the incident was an unfortunate one but further collaborated his statement that it will serve some individuals right. On the other hand, another militant of the SDF raised his voice warning that those who entered politics without understanding the rule of the game are the people who out of ignorance want to divide the (Wi)mbum people. It is feared that the present political stalemate in Nkambe central may sow a seed of discord that may land the (Wi)mbum people in serious problems. Besides, allegation abound that SDF militants are also threatening that all the councilors who did not win in their council constituencies but benefited from votes from other villages will not also be allowed to represent them. President Paul Biya has declared that their mission to Paris is to declare war on the Islamic Sect, Boko Haram. 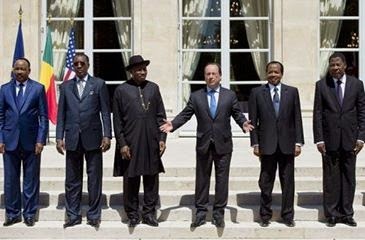 President Biya exploded that "We are here to declare war on Boko Haram". President Paul Biya made the statement at the Summit on security in Nigeria organized by French President. It should be noted that this Saturday, five African heads of states met in Paris on the invitation of French President François Holland to adopted a regional plan of action to combat the armed Islamist group, Boko Haram, which is becoming "a major threat" in Africa. The plan provides for "the coordination of intelligence, information exchange, , surveillance of the borders, a military presence around Lake Chad and a capacity to intervene in case of danger", detailed François Holland. "A regional comprehensive plan seeks to instill medium and long term strategies but not french soldiers on the spot. This is what was announced this Saturday by François Holland at a press conference at the end of the Summit on security in Nigeria organised in Paris. Country people, I salute. Have you heard the latest? Boko Haram is making news everywhere, on the web, in the street and in conference halls. In fact I am sure that this issue of Boko Haram is also being discussed in heaven and hell. When I said last week that Popol has a phobia for summits, I received calls from some people castigation my statement. Popol and Chantou left Ngola for Paris where he (Popol) will have a tete-a-tete with Lucky Badluck Jonathan as well as other heads of states to adopt strategies to fight Boko Haram. As five heads of states are attending the strategic meeting in Paris to discuss on the Boko Haram threats, the unexpected happened again in the Northern region. 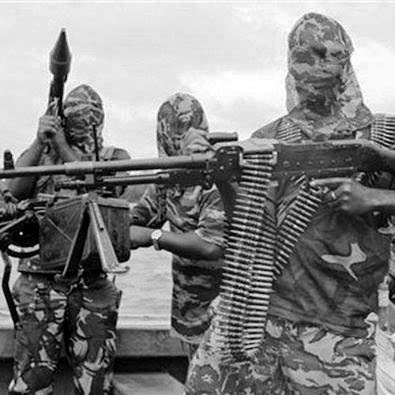 Bamm…Bammm, at the time I was writing this piece, I received call from a friend informing me that Boko Haram has again strike in the Northern Region. According to what we gathered, two Cameroonians and one Chinese were killed while suspected Boko Haram abducted one Chinese national and about 30 Cameroonians (BIR, Soldiers, civilians) are reported missing during the attack which took place yesterday, May 16, 2014. This incident we gathered took place around the Waza Park. The attack your writam-pen gathered took place not far away from BIR stationed there. It is even rumoured in some quarters that some Cameroonians are using Boko Haram as a means to gather gombo. Allegations abound that a high profile personality was caught in the Northern region with bags of money in home. You know these magidas are very secretive. Do you know that some people have used the name Boko Haram to solve their problems? I remember how the Mbororos of Njah in Bamenda who were exploded from a piece of land by the church regain their land back when they threatened to invite Boko Haram. The church panicked and packed out of the land. Another Mbororo grazer in Misaje who was expelled from his grazing land by the administration was reinstated the following day when he threatened to seek Boko Haram protect. You heard Lucky Badluck Jonathan and his minister of Communication? They are seemingly confused over the issue of the abducted Nigerian school girls. The Minister said government will negotiate with the Boko Haram and that statement was contradicted by Lucky Jonathan. In fact the other day I saw Nigerian women threatening to go naked in the street if the girls are not released after the 14 days protest. Country people, you saw the Nigerian women in the rain. In fact I think something should be done. I have been wondering whether 2014 is a year of missing. A month ago, a Malaysian plane disappeared and has not been seen up to date. In Nigeria, 276 school children adopted by Boko Haram have not yet been seen. In Cameroon, 30 Cameroonians are reported missing in the Northern Region. It is alleged that when Boko Haram militants hit Waza, they took away 10 Chinese nationals, 10 vehicles, two soldiers of the elite force BIR. Reports say more than 100 armed men drove in from Borno in two pickups into Cameroon territory. Can someone tell the Minister of Public Works to remove his hands from the pocket and tell us what is happening to the Kumba-Mamfe road? The risk of appointing politicians is becoming an immeasurable problem in this country. Have you heard that work on the Kumba-Mamfe road was to start last March yet we are in May? Yet Minister Dieudonne Ambassala issued a press release announcing that the contract for the construction of this road was awarded to two Chinese companies. I am seeing this road being tarred on papers in Yaounde. Please Mr. Minister, remove your hands from the pockets.